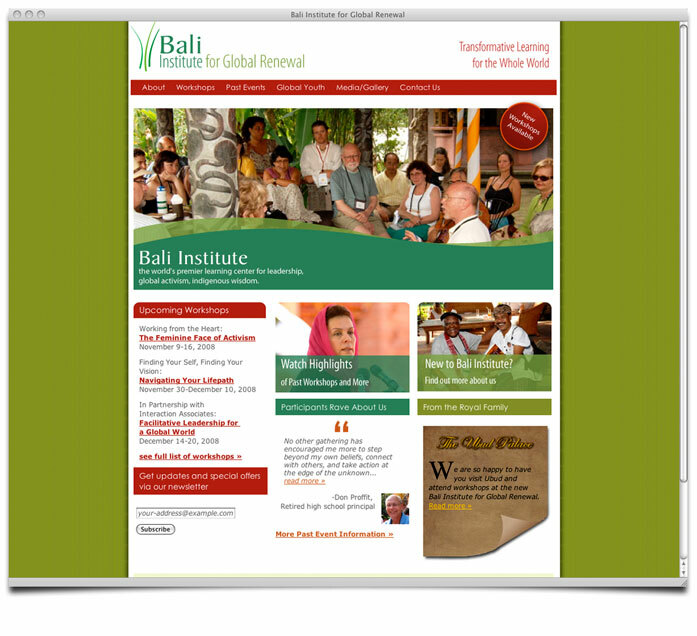 The Bali Institute offers education, training and leadership programs that inspire people to enact individual and collective initiatives that make a difference. 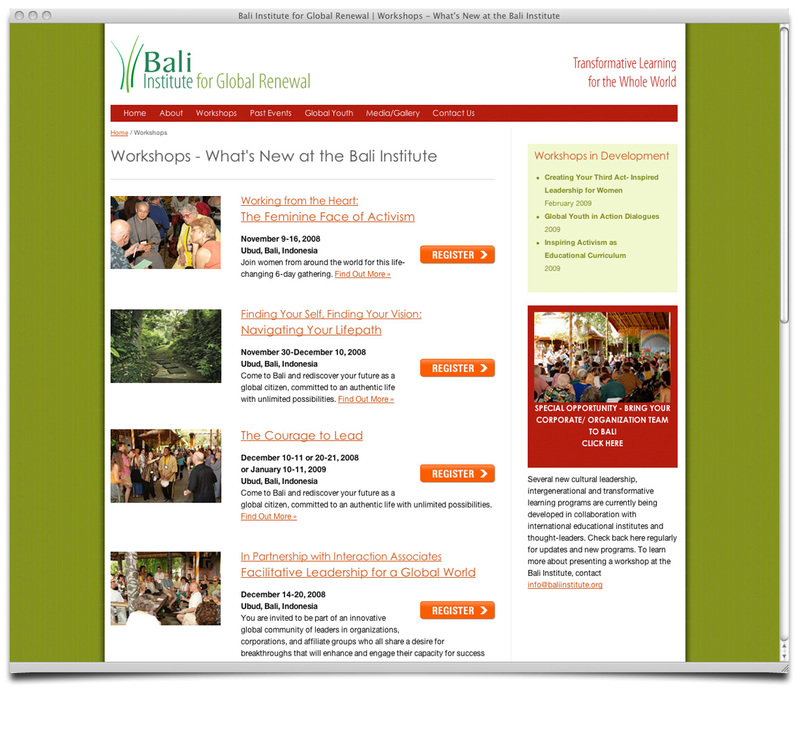 The website was redesigned to better highlight their offering of workshops and retreats. 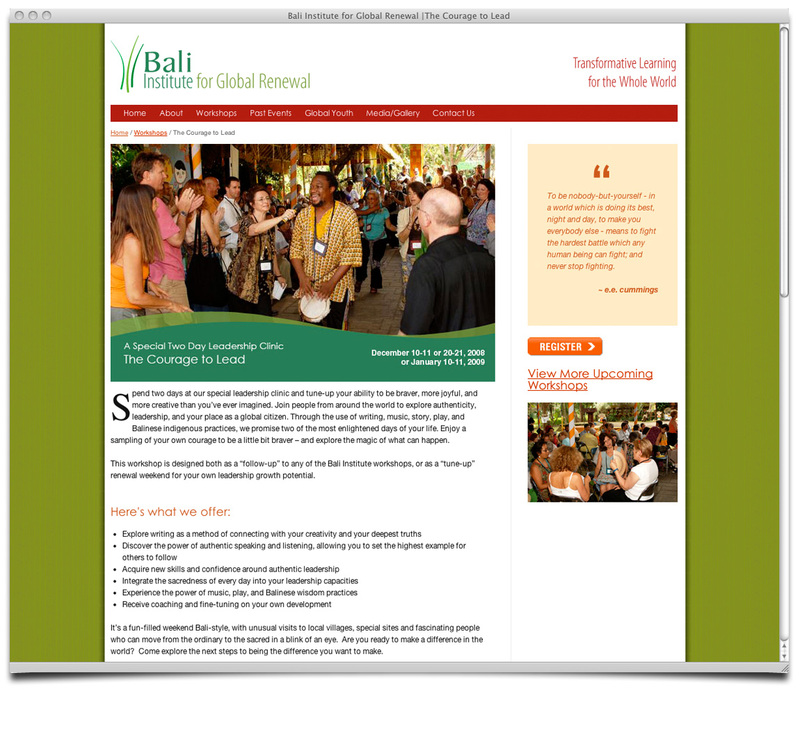 It was also customized to allow the site administrators to create and manage events including selling tickets, emailing attendees and collecting registration information. Previously, the event related administration was done manually by retyping registration information from applications that were mailed in. By creating an online process for the event registration and sales, a significant amount of time was saved, allowing staff to focus on other areas. I am happy to report that in all my years of working with web people, and understanding how important websites are now in the business world…I can’t recommend Sean HIGHLY enough in every possible way.